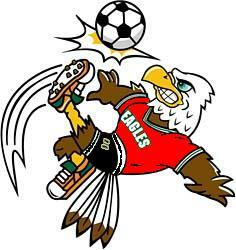 Welcome to the Corinthians Eagles Website! Parents, please do everything to be available for the team camp and tournament. I have decided to not play over Labor Day weekend as we will have some girls out and with that tournament being a high level expensive tournament it potentially wouldnt be enjoyable for the girls. I think $900 for a team camp with Eddie Deitz would be money better spent for the development for the girls. That comes to about 50 dollars a player and is a cheap camp for the level of coaching that will be there. Also I would like to pass is on that is very important that all girls make practices if in town the remainder of summer. With 18 players spread all over the city there are many car pool opportunities. This team has a ton of skill and more speed than most teams out there. We just need to pull it all together and we only have about 6-8 more practices until we play our tournament and and 10 until our first game. If you have not done so already everyone needs to pay Cindi Ivonne 85 dollars for tournament and camp. Even if you cannot attend it is still required to pay.